It’s not a tea bag, it’s a sachet. I make this distinction only because the first one contains tea dust, while the second one contains actual tea leaves. 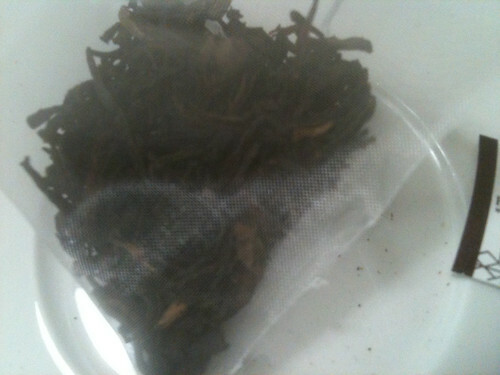 The first, for black teas at least, tends to make a quick, brisk (or often bitter) brew, while the second needs a longer steep time but ultimately has a more full taste. It’s the difference between Bigelow’s Earl Grey tea packets and Mighty Leaf’s Organic Earl Grey sachets, but I digress from this post’s star, Harney & Sons’ Earl Grey Supreme. And it truly deserves the name “supreme”. Not because it adds extra bergamot, but because this tea uses higher quality tea leaves—very high quality, and so it doesn’t need the extra bergamot to enhance this endearing taste of any Earl Grey tea. There’s no bitterness to overcome, nothing to block the scrumptious melting of Ceylon and bergamot. I’ve discovered my new supreme Earl Grey, and it isn’t this one. Still, Earl Grey Supreme still gets my nod for best tea naming itself Earl Grey. Rating: 4/5—one of the best Earl Greys around.